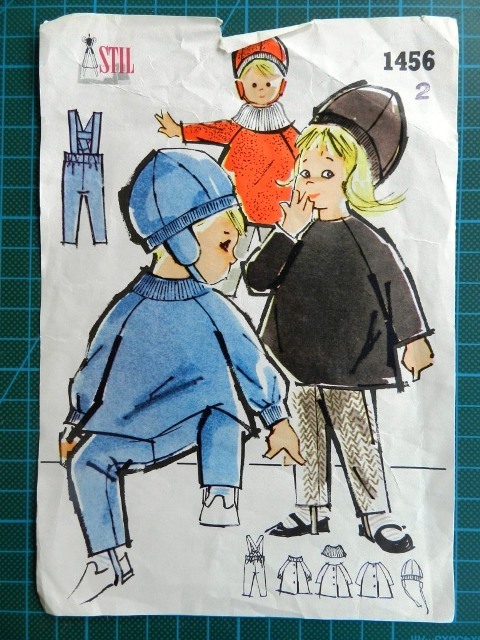 When moving back to Malmö last autumn I was looking forward to rummaging around the local charity shops and buying lots of vintage sewing patterns. Since then I have only been able to find a few adult patterns in or around my own size that I can imagine sewing up one day. 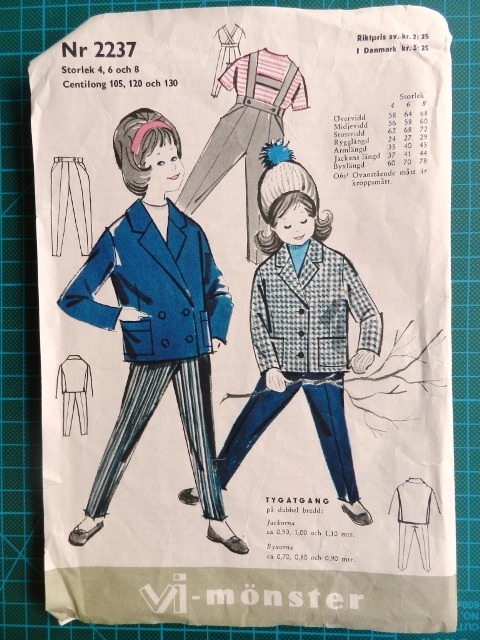 It soon turned out that Tradera (the Swedish equivalent of eBay) was a richer, yet more expensive, source for patterns from the fifties and earlier. 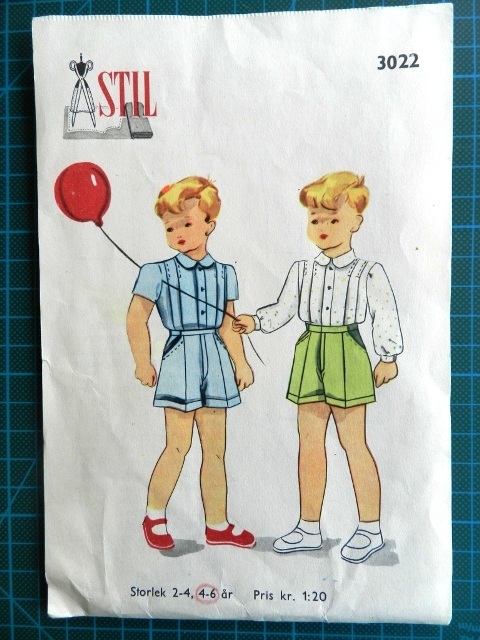 I have had slightly better luck with finding children’s patterns at thrift stores. However, as fewer people seem to be interested in them, they can go for as little as 10-15 kr (c. 1.10-1.65 euro) on Tradera. Stil 2471. 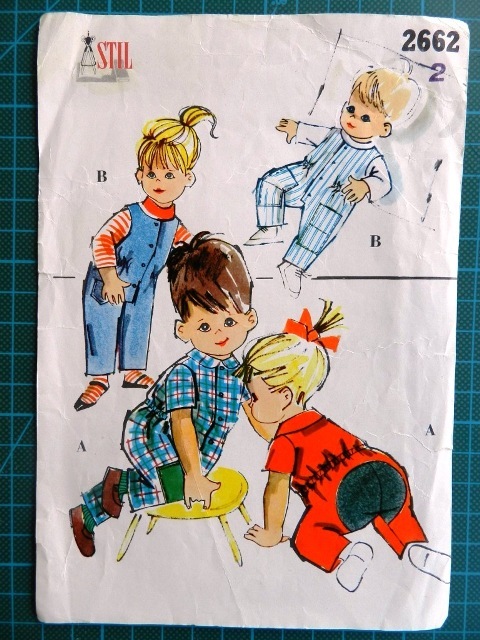 At the moment I am working on the dress; my first project based on a vintage Swedish sewing pattern. No problems so far! Stil 1456. I really like the hat and raglan sweater/jacket. Looks like an easy pattern. Stil 2662. This looks like it could function, although I am not sure about using contrasting fabric for the bottom. The construction is interesting, as the front halves and back of the overall are cut as one large pattern piece. Stil 4218. This one is still sealed in the original plastic bag. 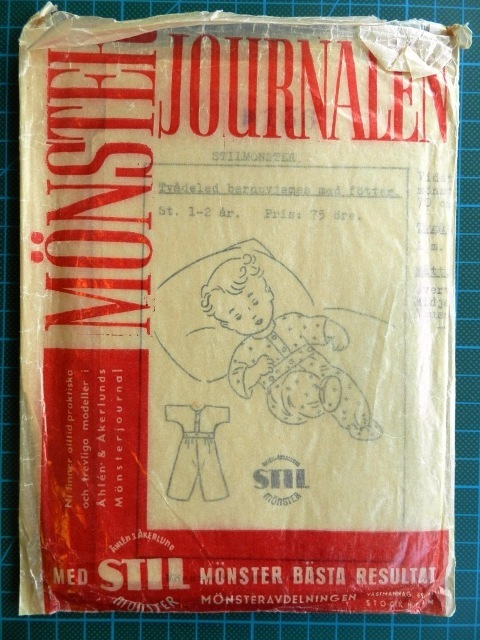 Vi-mönster 2237. Not sure if I like this one, but I won’t have to decide whether I want to use it anytime soon. This is a multi-sized pattern printed on relatively thick paper with clear markings. Very user-friendly. 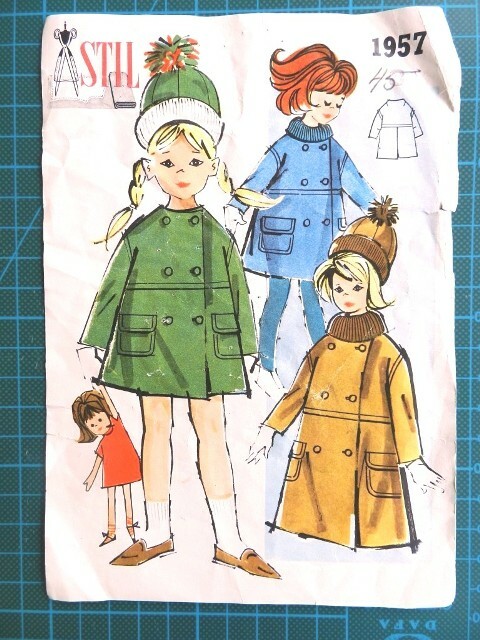 The next four patterns were auctions I won on Tradera.The first one seems to be more or less contemporary with the first four Stil patterns, although I still have a hard time dating sewing patterns. Perhaps a mid-fifties to early sixties date would be reasonable? Stil 1957. 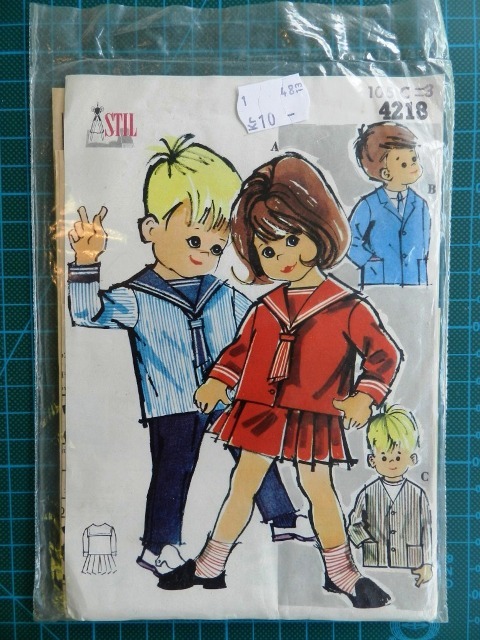 I don’t think I would have bid on this one if I hadn’t already won an auction from the same seller, as I have enough patterns for children’s coats already. Still a nice coat, though. The following three patterns are definitely earlier. 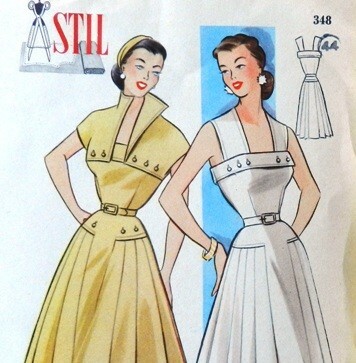 Based on the pattern illustration and tutorial included in the envelope of Stil 3022, it probably dates back to c. 1949, while based on similar evidence Stil 136 must be older, from c. 1945. I guess Record 187 is also from the mid-forties. Stil 3022. Cute blouse, but that balloon string piercing one of the twin’s shoulder looks uncomfortable. Enclosed in the pattern is an informative leaflet on making shirt sleeves. The leaflet has 1949 printed on it. Stil 136. This pattern for baby pyjamas is quite fragile. 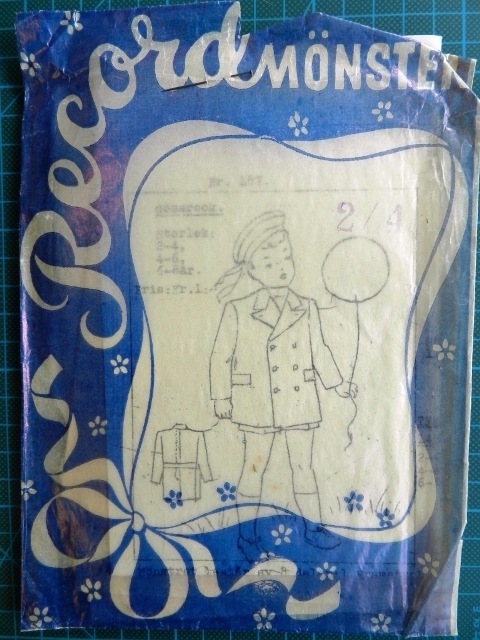 The pattern envelope also contains a leaflet dated to 1945 with a tutorial for bound buttonholes. Record 187. No leaflet in the envelope this time, but at least this kid is not harassing anyone with his balloon. Hopefully, I will find out more about Swedish pattern chronology in the future. 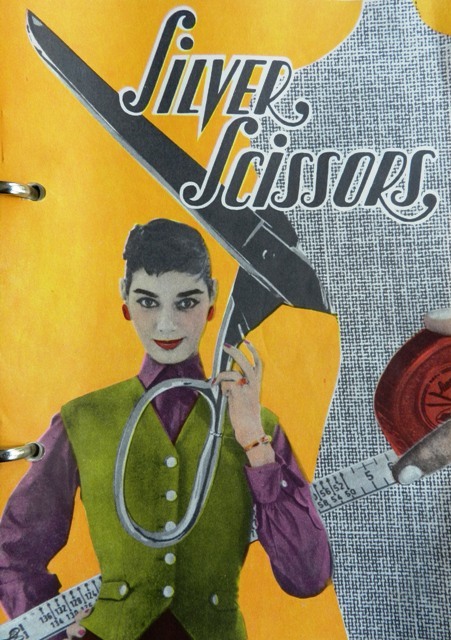 I know there are pattern catalogues, but I have not been able to get my hands on any of them yet. Nevermind their dates, the main question is how many of these patterns will actually end up as completed projects. 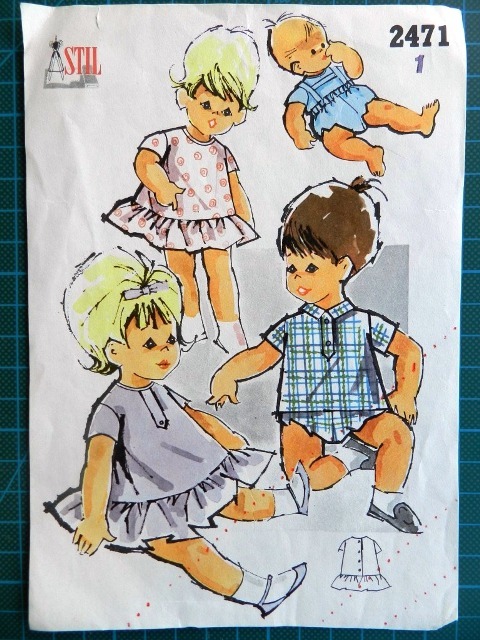 I will soon report back on the dress I am making from the first pattern!